As a morally infallible artist it was only natural for me to join the protesters at Extinction Rebellion on Easter Sunday. Sat amongst the crowd having watched Greta Thunberg’s short and sweet speech I was urged to take part in the chant “We love you”. Sadly, as a cripplingly uptight young man these three words were too much for me and I quietly ate some bread instead. Having seen this inspiring young lady I emerged a climate-oriented me and cycled home on my non-carbon-emitting-two-wheeled-iron-horse. Whilst cycling with my head held high and illuminated by my newly acquired halo I couldn’t help but consider Green and Stone’s eco credentials. I knew that we recycled most of our rubbish (because I ALWAYS put it out! Rosie! I’m looking at you!) and I knew that our carrier bags are biodegradable, but I was sure there was more. So, I visited my local ashram and pondered, “How green is Green and Stone?”. The answer came quickly, and the truth is, it is a real struggle for an art shop to be 100% eco. As artist’s we make use of all sorts of terrible materials and minerals for absolutely no logical reason. It’s inescapable! But hey ho, one line of depressing news is one too many. As I say, we recycle, we have biodegradable bags, and fortunately amongst our stock there are many examples of eco-friendly items! Amongst our selection of papers there are many which come from low-intensity, small scale, and environmentally friendly companies. Arguably, the most aesthetically pleasing papers we have in stock are, surprise, surprise, also the most eco-friendly! The paper I speak of, is the paper of Japan, India, Nepal, and Bhutan. The papers of Japan are mostly made in the mountains where the climate is cold and the water is pure. 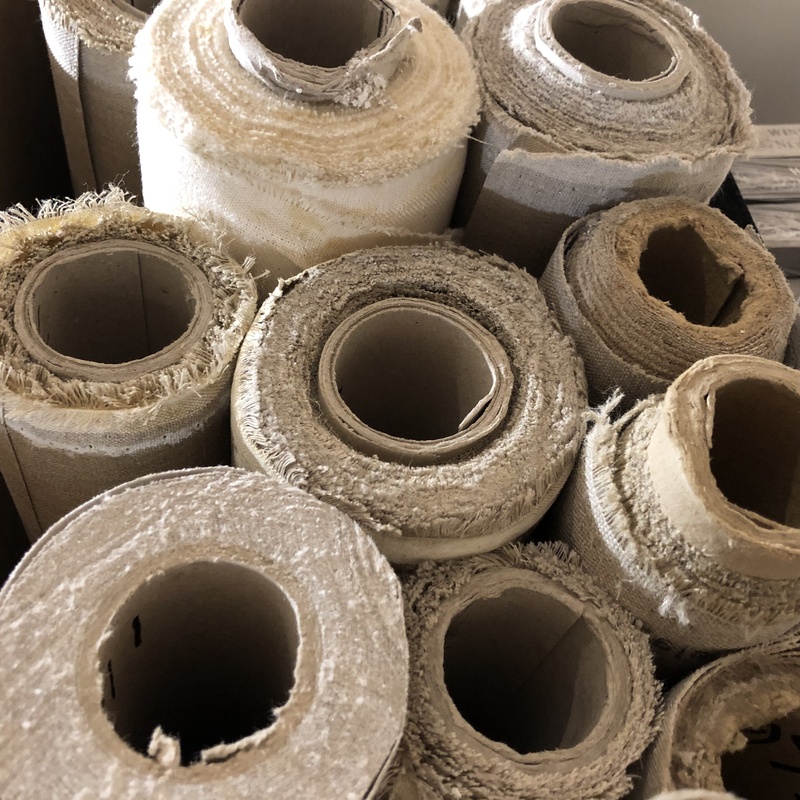 The chilly climate means the ingredients to make the paper do not decompose whilst it also strengthens and contracts fibres, thus resulting in papers of a crisp, firm, and fresh appearance. Instead of using chemicals for bleaching, these paper-makers utilise the natural bleaching of the sun and of the river, the latter of which sees plant fibres left to whiten in clean and nippy shallow river beds. 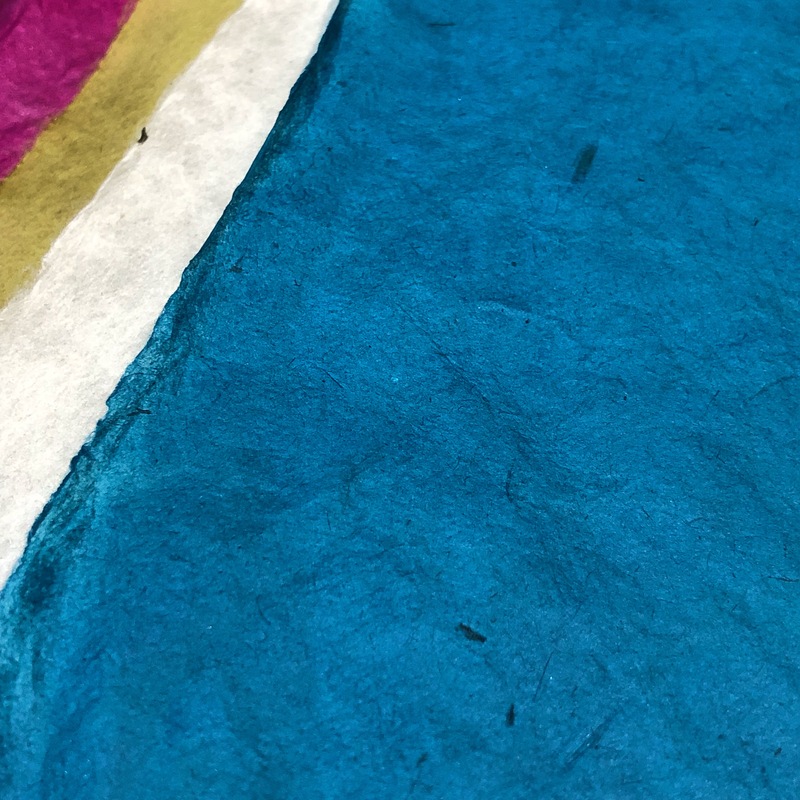 By using the river, the paper also picks up particles of mica which will let the paper sparkle just like the river from whence it came. Most Japanese papers use kozo or paper mulberry fibres which are harvested sustainably. The result is a variety of papers with an inherent strength, warmth, softness, eloquence and attractiveness. Lens tissue and Tosa Washi are incredible examples of delicacy and strength, whilst Atsukuchi is a paper with a unique warm yellow hue. These papers are ideal for printmaking, but can also be used for pen and ink drawing, scrapbooking, bookbinding, and all sorts of experimenting! Green and Stone’s Indian papers are similarly ecologically conscious. They are called Khadi papers, and they were inspired back in the 1920s by Gandhi’s Swadeshi movement which encouraged the resurgence of indigenous Indian craft and promoted the rights of Indians to embrace their own industries. These papers are very different to the Japanese papers which tend to be light and refined. Instead, Indian papers are robust, perhaps less delicate pieces of craft, but nonetheless they are very beautiful, and good for the planet. The rag papers are made from 100% cotton rag which is recycled from t-shirt cuttings. Despite the rustic look, Khadi rag papers are still acid free with a pH neutral size thus making the papers supremely excellent for watercolour, gouache, and ink. The interesting texture of the paper also lends itself to expressive, organic drawing. Oil paint is even suitable if you prime the paper with acrylic gesso! Other papers in our Indian Khadi collection include the delectable khadi coloured papers, which come in one of the most beautiful shades of magenta, and are excellent as wrapping up paper or general crafting. They too are eco-friendly, being made with dyes which meet European standards on toxicology. The eventual intention of the Khadi paper company is to reduce or entirely avoid the use of dye by recycling t-shirts of certain colours for certain papers. We also sell hemp papers made from sunn hemp, a native fibre used in India in the past for rope making. These are heritage papers made using traditional methods with the consciousness of nature in mind. Bordering India are the mountain countries of Nepal and Bhutan. Nepalese and Bhutanese papers are made from the inner bark fibre of lokta plants that grow in the forests of the Himalayan foothills. The plants are harvested every three to four years, and are allowed to re-grow from their main root, thus meaning less disruption of soil and greater biodiversity. These Nepalese papers are the only papers made in Nepal using soda ash instead of harmful caustic soda. The run-off of this soda ash can then be used as a fertiliser so the environmental impact is actually positive! These methods have hardly changed for over one thousand years. The papers are an excellent example of the Buddhist reverence for the nature, from which we can learn much! Beyond paper we are also proud stockists of St Eval candles. This company, based in Cornwall, takes the environment very seriously indeed. They not only re-use packaging, source FSC Certified paper, and reduce plastic-use generally. Their energy sources for production include wind turbines, solar panels and biomass boilers. On the farm on which they are based they have worked with the RSPB to create a network of mixed arable fields, wildflowers meadows and hedgerows to sustain populations of insects and bees. This all means that St Eval candles, which smell so heavenly, are close to being a completely carbon neutral company! Something one can only salute! So, whilst it is nearly impossible for Green and Stone to call itself an eco saint we do at least try! We are very proud to sell these eco-friendly products, but there are many products I haven’t mentioned; other papers, other inks, other gifts. But what I should also say is that almost all our stock, even if they use not-the-nicest materials comes from small-scale suppliers whose carbon footprint is always going to be much smaller than those of larger corporations whilst also providing a higher quality, typical of people who really care for what they do! 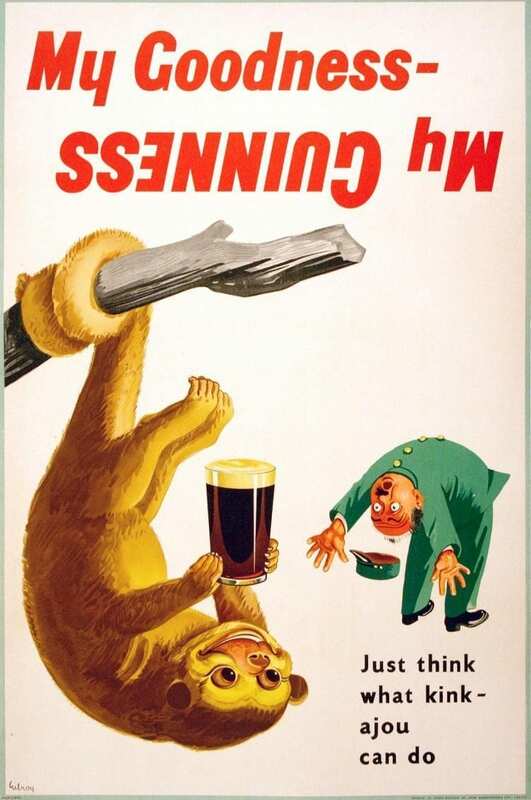 And my last point is, don’t pour turpentine down the sink! It’s sunny, my skin is being gently caressed by the sun and my hair is flowing handsomely in the sea wind. I am driving somewhere along the Cote d’Azur having eaten something delicious at a small seaside restaurant. My car is a gleaming scarlet convertible from the Golden Age of Motoring. It is very expensive and I am gliding across the landscape like a knifeful of strawberry jam across a freshly sliced piece of buttered baguette. I can’t help but look in the rear-view mirror and think how damn gorgeous I am. However, I am soon distracted, an unmistakable smell penetrates the salty pine-infused air. My heart is suddenly stung by memories of disappointment, rejection, dashed hopes, ah, yes, art school! But no, there is more, I remember my unwavering love of painting! Suddenly I am filled with the electric buzz of seeing a picture come to life. ‘What is it! What is that smell! What is it!’ I scream from my beamer. It is the smell of fresh poppy oil, but what exactly, oh yes, Charvin, it is you, I love you! I do! This introduction was written from my cold bedroom. I do not have a car, and I have never been to the south of France. But I have smelt poppy oil, and I have used Charvin. And so, this blog is about Charvin, whose essence I have hopefully captured in this paradisaical opener. At Green and Stone we sell several types of oil paint including Michael Harding, Sennelier, Winsor and Newton, and Blockx. All of them are good, but the most unusual of the paints is Charvin. Charvin is solely made on the French Riviera. Much of the products charm lies in its heritage. It is a family business run by Bruno and Laurence Charvin and relies on recipes from 1830. It was popular with such greats and lovers of sunlight, Cezanne, Bonnard, and Ambrogiani. Charvin sells both fine and extra fine oil colours. The difference between the two being that the extra fine oil is milled twice as long as the fine oil, with discrepancy on timings for each pigment. The machine used is a Buhler Swiss Three-Cylinder which is typically used for the manufacture of high-end cosmetics. The outcome is an incredibly smooth oil paint with a thick, creamy texture. In the extra fine range there are a staggering two-hundred-and-eight colours of which Green and Stone sells ninety-six and which is constantly changing. This means Charvin oil paints have the widest range of colours in the world including such delights as ‘Cyclamen’, ‘Absinthe’ and ‘Mummy Brown’. Whereas Sennelier relies on safflower oil, and Michael Harding on linseed oil, Charvin uses poppy oil. By choosing this oil the paints have a lovely shine, are excellently lightfast and should age without any yellowing. With their buttery and fine texture, the paints are perfect for the traditional Flemish painting style headed by such estimable figures as Jan van Eyck and Rogier van der Weyden. 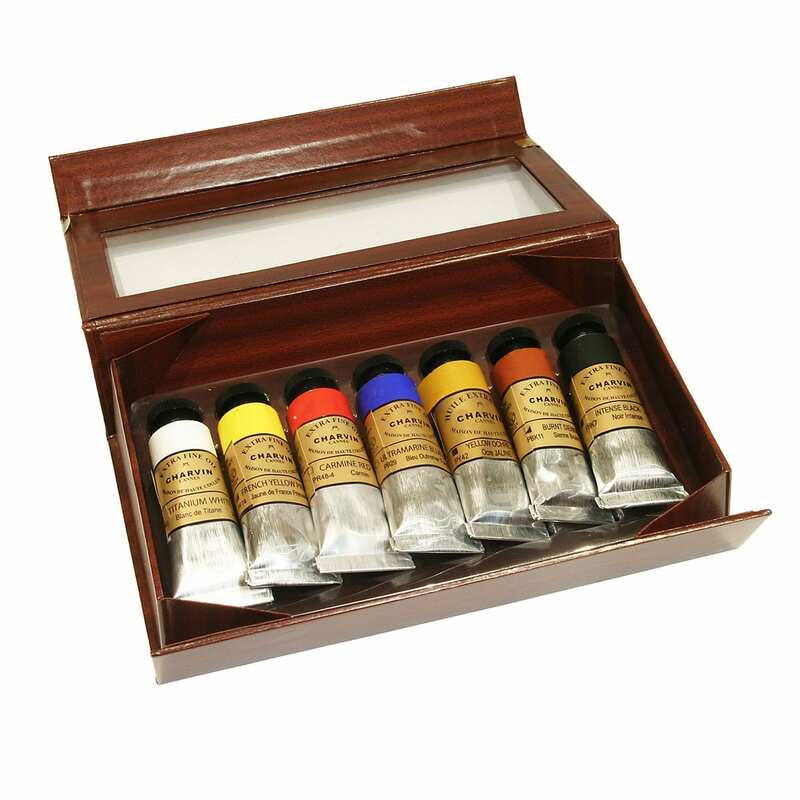 However, they are equally suitable for painting using colour shapers and palette knives, whilst the small 20ml tubes are ideal for the keen traveller and plein air painter. Charvin paints are also unusual in that they mostly come in mixed colours, in stark contrast with Michael Harding who emphasises the importance of pure single pigments. 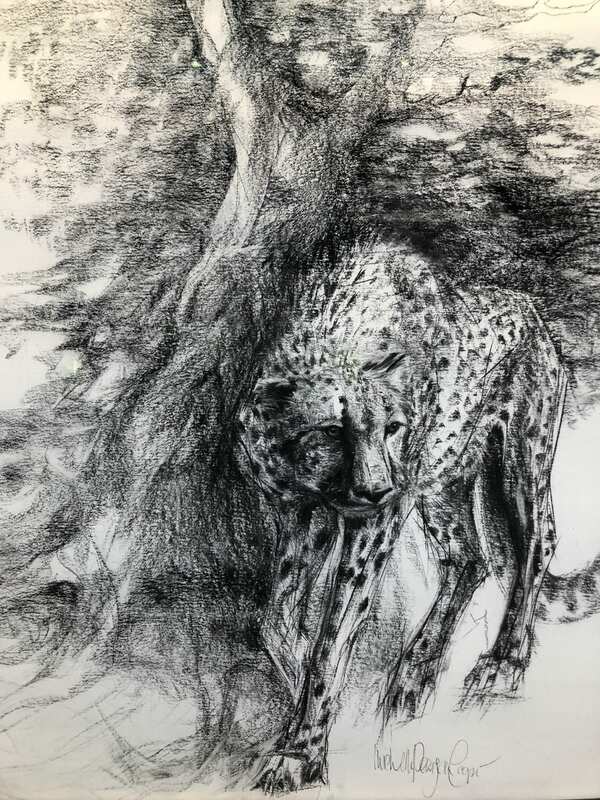 Charvin are aware of this and suggest the artist picks their colours carefully and that they do not overmix them, as they warn they will take on a shade of grey upon drying. The understated jewel in the Charvin crown of rainbow jewels is their oil-primed linen canvas, whether on the roll or ready-made. The linen is of a medium to rough grain with a characterful texture which reminds one of the sorts of canvases someone like Walter Sickert would use. The ready-made canvases come in traditional French portrait formats, as well as squares and elongated rectangles. They are handmade by talented Frenchmen who deftly wack copper tacks into the sides and firmly stamp ‘CHARVIN’ onto the back. The result is a canvas of the highest quality with a rigid structure and evocative 19th century look. Why use staples, when you’ve got tacks! The final aspect of Charvin which makes it so excellent is the philosophy of the owners. Indeed, Charvin are very much a business on an ethical crusade. In their own words they are a family business ‘rejecting the plasticization, consumerism and delocalised mass production to which the world of fine arts is engulfing’. With a business model they consider ‘utopian or crazy’ they have chosen to use raw materials only of the highest quality without any real economic outlook at their cost. They are against people who only think of profits and margins, who make low-quality products for low-cost countries, simply to gain a foothold in the market without regard for the ethical consequences and the repercussions for art itself. They work for authentic values and true products of meaning. As part of this crusade Charvin have stressed what they are against. In brief, they are against; colour range reductions (hence their rainbow colour range); the use of average ingredients; cotton canvas – an unreliable material over time, lacking the charming texture of linen. Why use cotton, when you’ve got linen! And finally, they are against online shopping. Arguing it means the end of advice, replaced only by a better price – thus resulting in a user who cannot progress in their work. The knowledge of generations being lost little by little. And so, long may Charvin reign in the sunny south of France. A beacon of artistic heritage and quality artistic production, keeping the French oil painting tradition very much alive for all the world. Indeed, it truly is the question when stood in the menagerie of pencils that is the downstairs rabbit warren of Green and Stone. In this place a cornucopia of pencils awaits you, including everything from the humble school pencil to the most suave, dark, and mysteriously named Pierre Noire. First and foremost in the collection are the graphite pencils whose sheer variety of shapes, sizes and qualities will surprise those who think of pencils as merely being striped like a wasp and stuffed sadly in a neglected and shadowed drawer. Particularly prized in the collection are the Caran d’Ache Grafwood pencils which have both style and substance. On their style, the silvery shafts are coloured in accordance with the graphite grade and have a hexagonal shaft to suit your grip, thus completing a sartorial draughtsman’s look (very important!). On their substance, the graphite is of the highest quality and is delectably soft and smooth, even in the hardest 4H grade. Also, in the Caran d’Ache range are the Grafcubes which are similarly soft solid cuboids of graphite perfect for expressive and gestural mark making. From Derwent, there are the water-soluble graphite pencils which are ideal for making light sketches before using watercolours, whereby the underlying sketch will disappear when wett. Interestingly, if you are one who minds where your pencils are made, Derwent are the last remaining pencil factory in Britain. 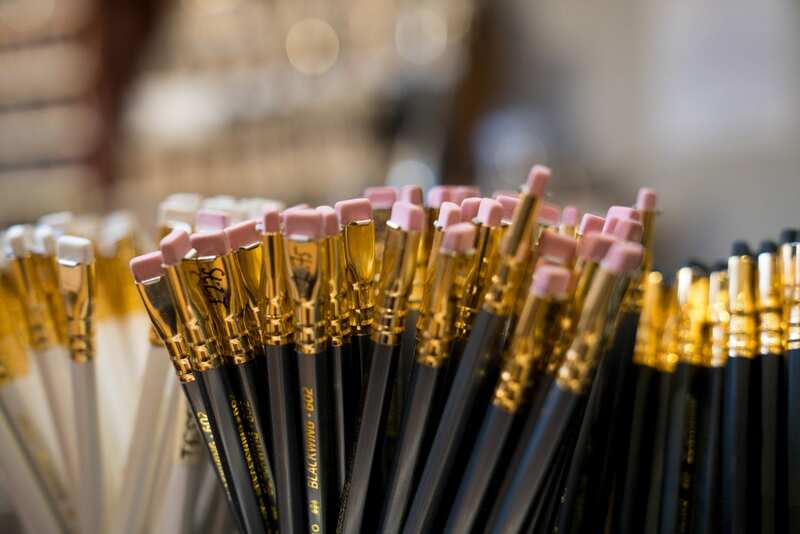 Based in the Lake District where graphite was first discovered in the mid-1500s they now make 14 million pencils a year using Californian cedar wood, pigments from across Europe, and China clay from Cornwall. On the gradation of pencils, ‘B’ means black, and ‘H’ means hard, so 9B is very soft and black, HB is in the goldilocks zone, whilst 4H is very hard and pale. The gradation of pencils is made by cooking varying amounts of pure powdered graphite with clay. The purer the graphite content, the softer and blacker it is, and the more clay there is the harder and paler it is. In the graphite collection there are also the excellent Faber Castell 9000’s, Koh-i-Noor’s Chunky pencils, Cretacolour tubs of graphite powder, and much, much more! Away from the graphite pencils there are many shades of sanguine and fleshy tones in Derwent and Conté perfect for classical drawing techniques and drawing on toned papers. New to the collection are the Conté Pierre Noire’s which feature soft leads of dense, velvety matt black ideal for both lively and precise drawing. Also, in the Conté range are the Charcoal pencils which do not dirty your hands, provide a more accurate charcoal line and blend very well with their iron red and sepia cousins. In the realm of coloured pencils there are traditional wax and oil-based pencils, watercolour pencils, and pastel pencils. Of the traditional coloured pencils there are the wonderful little Ferby’s which are delightfully chunky and vibrant, whilst at the top of the range there are the Caran d’Ache Luminance’s which are the finest of the fine! Whilst expensive they are worth every penny. They are smooth and can be easily blended with either burnishing, layering, or application of solvent. Most of all though, they remind you that coloured pencils are not always like the terrible, weak ones you had at school which frustrated more than they delighted. Instead, they are extraordinarily vivid and punchy, enough so that they can be mistaken for a painting. In addition, they are Grade I or II light fast, (important for any professional artist!). In a different corner of the shop there are the Carbothello’s which are pastel pencils. So, similarly to the charcoal pencils they do not mess your hands and provide a more accurate and steady pastel line. Of the watercolour pencils there are the Faber Castell Albrect Durer’s which are also lightfast and strongly pigmented and can be used for both drawing and painting. Eagerly sought after by a select enlightened few the Stabilo Woody pencils have a naïve child-like look which belies their complexity. Indeed, these XXL pencils can be used as a pencil, a crayon, and a watercolour, and can make images so intensely vivid you will feel as though rainbows are falling out of your eyes. Truly, for only £1.45 you can experience pure psychedelia! Last, but not least there are the new Derwent Inktense pencils and blocks which are unique in that when wet they become ink, and once dry the colour is fixed and can be used on fabrics, including silk and cotton. Watch out Vivienne Westwood! Hopefully, my point is a sharp and clear as that of my Faber Castell 9000 – there are a lot of pencils at Green and Stone! In truth, I have barely scratched the surface, there are many, many more to use (the chinagraph pencils which can write on all non-porous surfaces – what excitement awaits!). However, if the idea of a pencil tires you out, you can be truly 18th century and use a port crayon instead. Et voila! You will be transported to an Enlightenment tea party. With the days getting longer but somehow the month feeling gloomier it is only natural to pine for summer, both past and future, and the warm joy it brings. Undoubtedly, there is no greater pleasure than jumping into a tree-lined river, throwing yourself under its sun-dappled waters, then lying on the tickling glistening grass and basking in the sun whilst water steams off your pale-turning-brown body. Away from the river another highlight of my England-bound months of smiles was the Charmed Lives in Greece exhibition held at the British Museum. Alongside boys lying in fields of asphodels, slowly drifting into the arms of Morpheus, were a selection of small portraits of Cretan and Greek men, women, and children. Here John Craxton, a British artist who for much of his life exiled himself to Greece (tough life! ), not only made me jealous of his Mediterranean gallivants but he also opened my eyes to the world of toned paper! Truly exciting stuff! Before my eyes were opened by Craxton I lived as an ignoramus blindly wandering around Green and Stone thinking the only paper for me came white, phosphorescent and bright, and that toned paper was exclusive to pastel painters. But no, such paper is open to all – whether you use charcoal, pencil, coloured pencil, conté or pen and ink! Toned paper comes in all sorts of colours ranging from light creams, bold greens and rich reds. Whilst Craxton enjoyed all sorts of colours of toned paper in the Renaissance we find that light browns and greys were most popular with the likes of Michelangelo and da Vinci. What all these artists understood, whether 15th century, or 20th century, was that toned paper can greatly enhance a drawing. Having such a choice of delectable colours to draw on allows you to set the mood of your drawing more easily. Whilst Craxton often chose warm tones of yellow and orange he equally favoured cooler ones of grey and blue. Having the constant unifying mid-tone also allows one to darken and lighten their drawings more easily. Indeed, this sort of highlighting which can be done in white charcoal, chalk, white ink, or dry-ish gouache can be more difficult to achieve when drawing on white paper and to some extent allows a more realistic bodied drawing, as when in nature do you ever really see stark white in nature? Equally, coloured paper can lean one further towards abstraction. The constant mid-tone can also grant you wicked speed as the paper does much of the shading work for you, making it perfect for travelling and quick sketch making. 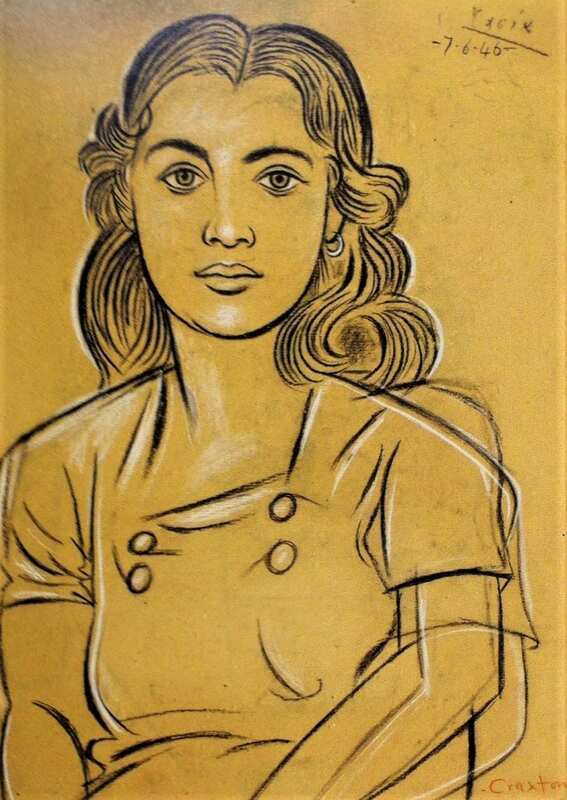 Craxton’s ‘Tasia’, a portrait of a Cretan lady drawn in conté, is a beautiful example of the dynamism of toned paper. The paper highlights her warmth, spiralling hair and extraordinarily captured features. No doubt Craxton could have achieved this otherwise, but the paper helps! Finally, using toned paper encourages unusual colour combinations which can prompt all sorts of effects, moods, and experiences. The only things that will upset toned ‘pastel paper’ is the wet, whether watercolour or acrylic, it will squirm wildly and lose all dignity and be a terrible waste. However, relatively dry gouache and the delicate wetness of pen and ink is perfect. Fortunately, watercolour does come in its own range of hues comparable to those mentioned here. So next time you think about paper, don’t only think of it as white, at Green and Stone in the ‘pastel paper’ stand it comes in forty different colours (not counting all the other types of card and paper) ready to be made into whatever sort of drawing you like. Over Christmas we become flabby, not only physically, but also mentally. By this I mean we can slip artistically and lose aesthetic rigour as we practice the sin of gluttony and let ham seep from our pores. Sadly, there is no easy solution, but with effort one can alleviate their sin – not by dieting, joining the wagon, or sweating at the gym – no, the only way is to don your smock and recreate a fifteenth century masterpiece. 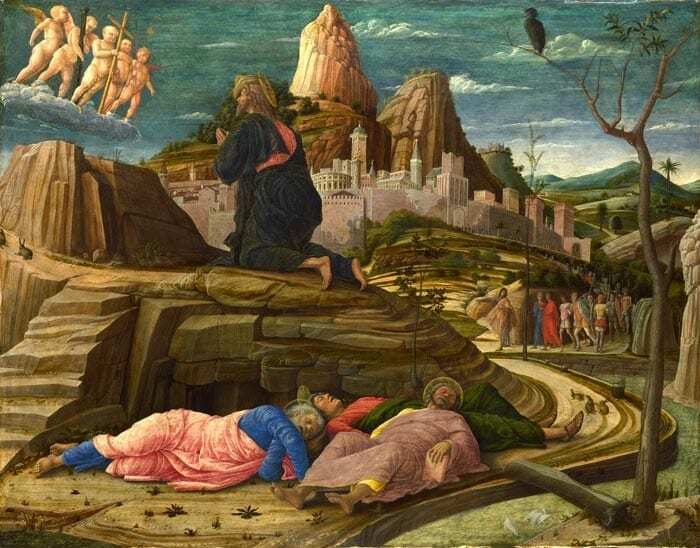 To help you I suggest copying Mantegna’s Agony in the Garden (currently on show at the National Gallery). I have already done so and now feel like twice the man I was in 2018. This painting exquisitely depicts Judas’s betrayal and the arrest of Christ before going to the cross. In it we see Christ receive the Instruments of the Passion whilst his disciples snooze unaware of the encroaching army of soldiers snaking out of an imagined Jerusalem. 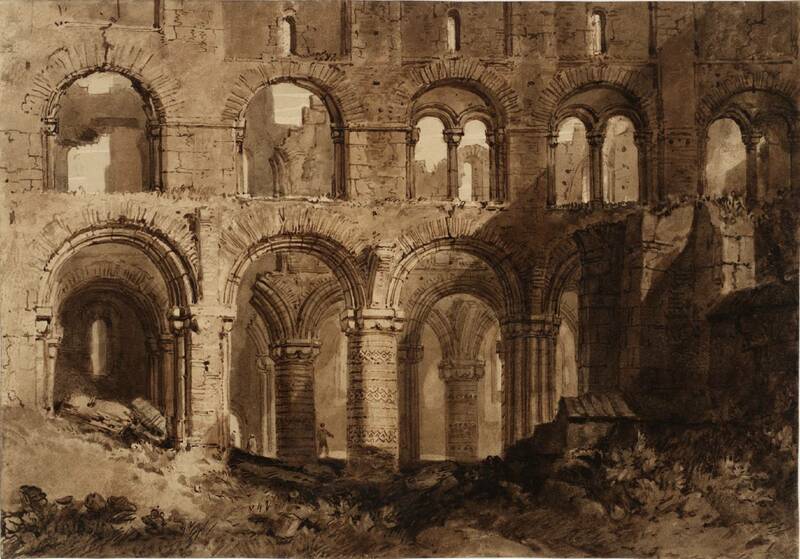 Rendered in tempera it has a brilliant luminosity and crispness which is not replicated in the above photo. With the addition of a sweet trio of rabbits nibbling away at the trodden-grass Mantegna makes even the most hardened atheist hearts tingle with the poetry of the Lord! Here then follows a guide to redemption. Start by choosing your wooden panel. If you wish to be truly authentic visit your local madman-in-the-forest and exchange a tuppence for some poplar wood chopped in the autumn. Make sure it is well seasoned and then cut to size (62.9 x 80cm!). Otherwise compressed fibreboard or seasoned panels of birch framed on pine (which we sell in the shop) are suitable. Prepare your panel by dusting it with a lint-free cloth and degrease it with a delicate wipe of methylated-spirits. Sit the wood happily on some makeshift feet and allow it to thoroughly dry. Next prepare a delicious vat of gesso. Again, if you wish to be truly authentic you must make two stops. First, either go to your local pet shop and buy a rabbit or commit a crime and set an illegal snare in the countryside. After you have done this grace your nearby gypsum mine and buy a kilo or two of the powdered rock. If you can’t get a rabbit you may be truly Renaissance and use clippings of goatskin vellum soaked in water for 24 hours. To spare yourself the horror of the first stage and the lung damage of the second simply go into the downstairs of our shop and buy yourself a bag of rabbit-skin glue and a bag of gypsum, or a tub of whiting. To make your gesso mix the two ingredients together in a way better explained in Robert Massey’s Formulas for Painters or Pip Seymour’s The Artist’s Handbook. Now apply a ‘grip coat’ of mostly glue and a smidge of gypsum powder followed by between 4-10 coats of silky smooth and creamy white gesso. You’ll know if your glue is good if it dries to a clear pale straw colour. If it is bad it will dry dark brown and a cloud of shame will rest above you for the rest of your day. If you don’t want to do any of this you can again skip the process and exchange some sweet dollar for ‘Gessobord’ pre-gessoed panels! Again, available downstairs! With your panel now ready and gessoed you may begin to think about paint. To remake this masterpiece, you must use egg tempera which in this modern-age you can buy in tubes! Or you may dedicate yourself to the handmade process more comprehensively and lengthily described in the previously mentioned books. But essentially, raise yourself a hen, collect its eggs, remove the whites, cut open the egg sac, remove the yolk, wet your pigments, mix the two together, and grind, grind, grind with a muller. Et voila! With the technicalities over you must begin painting as your handmade egg tempera will go smelly after two days. Make sure to paint delicately and lightly with a fine brush otherwise your painting will crack to bits. Once you have added the finishing touches – the swirling silvery hair, the hundreds of tiny pebbles, the glint of the little rabbits’ eyes – the truly final touch can be added – the golden horse! Yes, if you look closely, atop Trajan’s column (beautifully rendered in plaster at the V&A) sits a golden horse and rider. Of real gold! Not gold paint, no real gold! So that it shines like the sun! What grace! To do this apply a little bole and delicately apply with your gilders tip the finest gold leaf in the land (available at little ole Green ‘n’ Stone!). Ta da! If all goes well and you have followed my instructions closely you should end up with a painting which will make your heart glow with the radiance of God and reinvigorate your mind with the sharpness lost over the Christmas period. To 2019, a year for unparalleled artistic endeavour! Using supplies only from Green and Stone! “Oh my, Gouache!” said the paintbrush to the puddle of paint. Pleased with the surprise barrage of compliments, Gouache could only say “Well gee, thanks, I didn’t want to brag but yeah, I am pretty darn cool aren’t I?” And so, Gouache put on his sunglasses and went on to create some of the most delicious paintings the world would ever see. Gouache itself is a paint made from a mix of pigments, water-soluble gum and chalky filler or white pigment. This ingenious mix, similar but profoundly different to the composition of watercolour, is well known for being a favourite of designers and illustrators but by no means is it limited to such arenas. In fact, gouache can be used in such a way as to mimic oil paint. The qualities of gouache are numerous. Gouache, with its large amounts of binders and fillers forms a real film with total hiding power. When painted to a full film it has a matt opaque surface which gives it a strength, solidity and weight which sometimes even oil lacks. It is this dried earth look which Matisse cleverly exploited in his cut-outs. The ingredient of the filler or white pigment also gives gouache a light reflecting quality which enhances the strong contrasting values often used in its paintings. However, cool old gouache can do much more than only this. Standing in the Tate and looking at the pre-Raphaelite paintings of Edward Burne-Jones one might assume their eyes had lain upon an oil, but no, it is quite likely to be a gouache! Once one has overcome such an embarrassing slip-up and apologised to the gallery attendant for being such a sinful idiot one can begin to further appreciate the versatility of this paint. Sidonia von Bork for example shows how gouache can emanate the glow of oil despite its inherent mattness. Burne-Jones also exhibits how gouache can recreate the delicacy, detail and sense of form more familiar in oil and acrylic. Other artists to exploit gouache’s oily mimicry include Anish Kapoor and Egon Schiele. Arthur Melville is the artist who truly championed gouache. Firstly, Melville showed that whilst watercolours are undeniably superior when used in transparent or semi-transparent washes gouache was perfectly capable too. Indeed, when transparent pigments such as burnt sienna or phthalo blue are used in a wash of gouache they are just as brilliant as that of a watercolour. Secondly, Melville explored the capabilities of gouache by developing a technique whereby he saturated his paper with Chinese white paint and then painted over it. 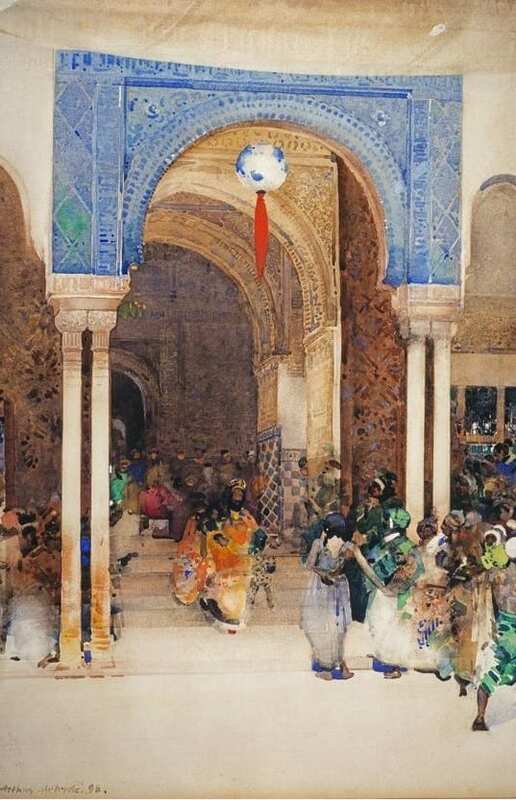 This is why in paintings like The Blue Night, Venice and King Cophetua and the Beggar Maid the colours are so rich, deep and bejewelled. The latter painting also exhibits Melville’s final clever trick which was to manipulate different layers of gouache by using a damp clean brush and sponges to bring covered colours like his Chinese white from below to create ghostly fleeting forms and a velvet-like texture. Topping off gouache’s all round excellence is that it can be mixed and matched freely with watercolour, ink, pastels and charcoals. A true free spirit! Of course, there are a few things gouache can’t do – it can’t sit out in the rain, it can’t be used in an impasto style, and, positively, it doesn’t become progressively transparent like oil paints can do with age. If this has all rather tickled your fancy at Green and Stone we stock Winsor & Newton Designers’ Gouache and Schminke Horadam Artists’ Gouache. Designers’ gouache is intended for reproduction work, not permanent pieces. Whilst Artists’ is permanent, lightfast and is intended to create your magnum opus!